We Search Trusted Retailers DAILY to find you the best deals on Cordless Vacuum Cleaners and the latest Cordless Vacuum Cleaners sale to save you money. 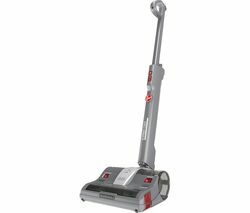 With the advances in battery technology and the bringing down of prices has led to the rise of cordless vacuum cleaners. We think these are one of the best new household appliances to come about in recent years. No more messing around with the cord, plugging it in one room, then another. The time and messing around that you save by having a cheap cordless vacuum cleaner is so good, you'll never go back to a corded one. As you'd expect, the main thing to look out for in a cordless vacuum cleaner is a good powerful battery. the general rule is the more you pay, the better the quality of battery. But this rule isn't always set in stone. 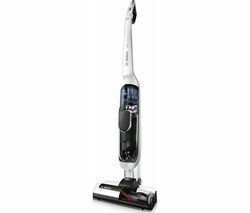 You can find some good sales on cheap cordless vacuum cleaners to make them better value for money, or you can find some big discounts on last seasons models of vacuum cleaners. These are both top ways to make that cheap cordless vacuum cleaner even cheaper. So with this money saving at the front of your mind, lets now look at what you should be looking for so you don't end up spending money on features that you don't want, or need. First thing you need to look at is if you could save money by not even getting a cordless vacuum cleaner at all. If you've a small studio apartment full of wood and tile flooring, and a small carpeted area, then a cheap vacuum cleaner will be more than enough and you might as well save your money. Or it you're dead set on a cordless vacuum cleaner, then there's not much need to pump for the ones that will last for ages and are super powerful. However on the flip side of that, if you've got a big house with lot's of carpeted areas, and maybe a dog or two running around, then you'll defiantly want to be opting for the most powerful one your budget can stretch too. For some, the cheapest cordless vacuum cleaners would be more than enough. Morphy Richards to a great cheap one for £59. This is perfect for a small home or a quick and handy way to hoover up after the kids have made a mess. It only gives you 10 mins, but for the price its's only designed as a quick picker upper and not a full home cleaner. 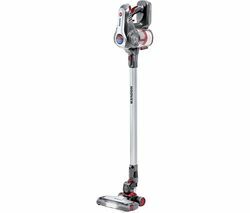 We can see how you would think this is a bit of waste for money however, because you'll always need another vacuum cleaner as you main one, so why not put the £60 to a full powerful cordless vacuum cleaner. Well, the answer to that is for a really good powerful long lasting cordless vacuum cleaner you're looking at £200+. That being said, the Dyson V6 Animal at around £230 is just about the best value for money cordless vacuum cleaner on the market right now, and when compared to a corded vacuum cleaner of a similar standard, the price isn't all that more expensive. 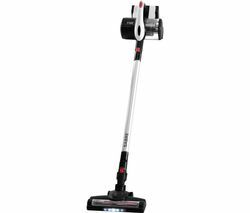 There are a load of choice when it comes to different brands of cordless vacuum cleaners. Some are high quality and high priced, some brands have a range of models to suit all budgets and some really good low priced models too. Dyson Possibly one of the biggest names to hit vacuum cleaners in recent years. They are so well known for their innovation that its no surprise to see that they're leading the way in terms of quality cordless vacuum cleaners. The Dyson range are all over £200, but for that they do a great job and even the lower ones in the range with give you 20 mins of powerful suction so doing your entire home is possible, but may a squeeze if you've a big home. If you do have a big home with lots of carpet, then the Dyson V8 Animal would be the one we recommend from Dyson. You'll need a decent budget for it however, as it's just over £350. 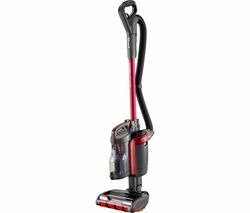 Hoover If Dyson are the biggest name in recent years, then Hoover are the biggest name in vacuum cleaners for all time. They are even called Hoover by some people. 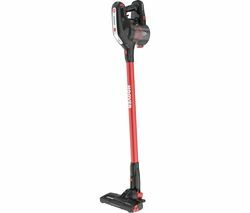 They always make quality vacuum cleaners and have kept up this trend in making quality low priced cordless vacuum cleaners. So of the lower priced Hoover cordless vacuum cleaners have better run times than the Dyson ones that are higher in price. But they can make up for this in a bit of a lack of power. Perfect for less trafficked carpets, but if it's a busy home with a dog or 2 running around, you may want a bit more power in your vacuum cleaner. VAX VAX started out doing carpet cleaners and they were a massive susses. Now they've moved into doing vacuum cleaners and even better, cordless vacuum cleaners. 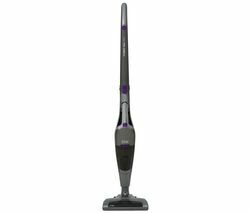 They have some really good models and the prices range really well, from cheap VAX cordless vacuum cleaners, to the high end prices for really powerful vacuum cleaners. 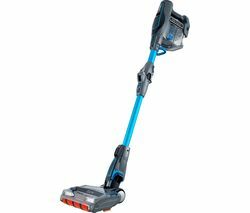 Bosch Bosch have bought their knowledge of power tools that are battery powered, to the cordless vacuum cleaners range. They have a few different options of Bosch cordless vacuum cleaners. The best models of the Bosch range have some really long run times. Up to 75 mins is one of the longest we've seen of a single charge. Morphy Richards For a good selection of quality cheap cordless vacuum cleaners, then you should check out the ones from Morphy Richards. 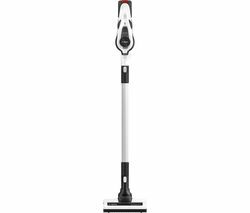 They are all under £100, and not great for heavy duty vacuuming, but for small areas that won't be getting very dirty, they are more than enough. Russell Hobbs Having made the moved from small electrical appliances to larger ones. 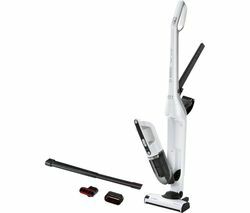 Russell Hobbs have started making some low priced cordless vacuum cleaners, that are great value for money and well worth checking out if you're after a good low price vacuum cleaner. AEG For a high end brand that makes some really good products, AEG are well worth a look. They are known for making high end large appliances, so their range of cordless vacuum cleaners are right down their street. When it comes to choosing our best overall pick of cordless vacuum cleaners, we decided to go for the Dyson V6 Animal. It isn't quite as powerful as the V8, just the batter last a really good amount of time, and with it's lower price, we feel its better value for money than all the others. 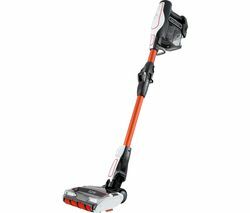 Another one worth mentioning for it's super low price is the Hoover 20.4v Flex Power. It's £60 and a great little cordless vacuum cleaner for doing those little jobs. It will save time in not having to set up a big corded vacuum cleaner, and it's the best cheap vacuum cleaner that we've seen under £80. These are just a hand full of the best brands of cordless vacuum cleaners from some of the biggest retailers in the UK. They all have a few more brands that they have. Some are cheaper, but we always recommend reading the reviews to make sure that previous customers are happy with their purchases. We've listed these vacuum cleaners in order of the cheapest to the most expensive, and this makes it really easy for you to set your budget and not over spend.